Attorney General William Barr's four-page summary of special counsel Robert Mueller's investigation drew immediate praise from top Republicans, who declared vindication for President Trump after Mueller found no campaign conspiracy or coordination with Russia to influence the 2016 election. Yes, but: House Judiciary Committee chairman Rep. Jerrold Nadler was quick to point out that Barr’s letter was not the end of the inquiry, noting that Barr wrote in his summary that "while this report does not conclude that the President committed a crime, it also does not exonerate him." In a tweet, Nadler added that his panel “will be calling Attorney General Barr in to testify” in the near future. Senate Majority Leader Mitch McConnell: "The Special Counsel’s conclusions confirm the President’s account that there was no effort by his campaign to conspire or coordinate with Russia in its efforts to influence the 2016 presidential election. However, Russia's ongoing efforts to interfere with our democracy are dangerous and disturbing, and I welcome the Special Counsel’s contributions to our efforts to understand better Russia’s activities in this regard." 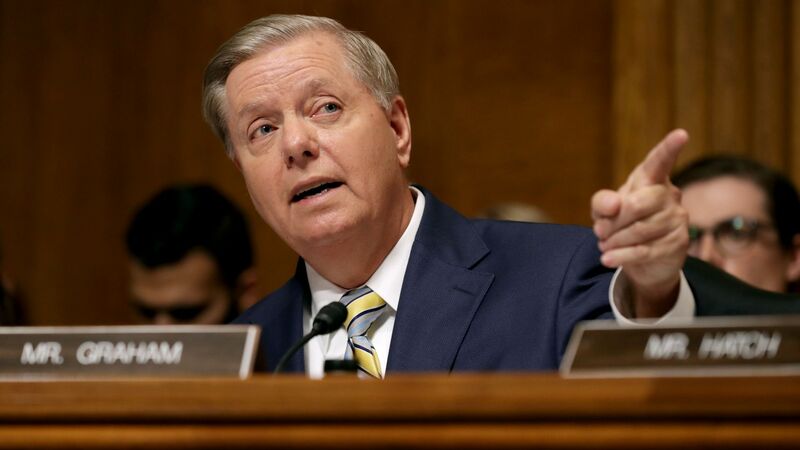 Senate Judiciary chair Lindsey Graham: "Bad day for those hoping the Mueller investigation would take President Trump down. Great job by Mr. Mueller and his team to thoroughly examine all things Russia. Now it is time to move on, govern the country, and get ready to combat Russia and other foreign actors ahead of 2020." Senate Intelligence chair Richard Burr: "I appreciate the Attorney General’s quick turnaround in sharing his summary of the Special Counsel’s report. AG Barr should release as much of the report as possible, without jeopardizing U.S. intelligence sources and methods or ongoing Department of Justice prosecutions." House Minority Leader Kevin McCarthy: "As we officially close this chapter, it is important for us to learn from the moment. As we look back, Democrat leaders acted irresponsibly and threw caution to the wind to damage and distract from the work the Trump administration is doing on behalf of our fellow citizens. While this conclusion is an embarrassment to those Democrats, it is more discouraging to think of the opportunity costs to our country." House Oversight ranking member Jim Jordan: "No collusion! No obstruction! It’s time to move on." House Judiciary ranking member Doug Collins: "The special counsel’s investigation was long, thorough & conclusive: There was no collusion. There is no constitutional crisis. As the report states, "the evidence does not establish that the President was involved in an underlying crime related to Russian election interference." House Judiciary chair Jerrold Nadler: "Special Counsel Mueller clearly and explicitly is not exonerating the President, and we must hear from AG Barr about his decision making and see all the underlying evidence for the American people to know all the facts. There must be full transparency in what Special Counsel Mueller uncovered to not exonerate the President from wrongdoing. DOJ owes the public more than just a brief synopsis and decision not to go any further in their work." Democratic leaders Nancy Pelosi and Chuck Schumer: "Attorney General Barr’s letter raises as many questions as it answers. The fact that Special Counsel Mueller’s report does not exonerate the president on a charge as serious as obstruction of justice demonstrates how urgent it is that the full report and underlying documentation be made public without any further delay. Given Mr. Barr’s public record of bias against the Special Counsel’s inquiry, he is not a neutral observer and is not in a position to make objective determinations about the report." Sen. Bernie Sanders: "I don’t want a summary of the Mueller report. I want the whole damn report." Sen. Kamala Harris: "The Mueller report needs to be made public, the underlying investigative materials should be handed over to Congress, and Barr must testify. That is what transparency looks like. A short letter from Trump's hand-picked Attorney General is not sufficient." Sen. Elizabeth Warren: "Congress voted 420-0 to release the full Mueller report. Not a "summary" from his handpicked Attorney General. AG Barr, make the full report public. Immediately." Sen. Kirsten Gillibrand: "The Mueller report must be made public. Not just a letter from someone appointed by Trump to protect himself—all of it. The President works for the people, and he is not above the law." Sen. Cory Booker: "The American public deserves the full report and findings from the Mueller investigation immediately—not just the in-house summary from a Trump Administration official." Julian Castro: "A politically appointed Attorney General shouldn’t decide how much of the Special Counsel report Congress can read. The full report should be released and Robert Mueller should testify to its findings."